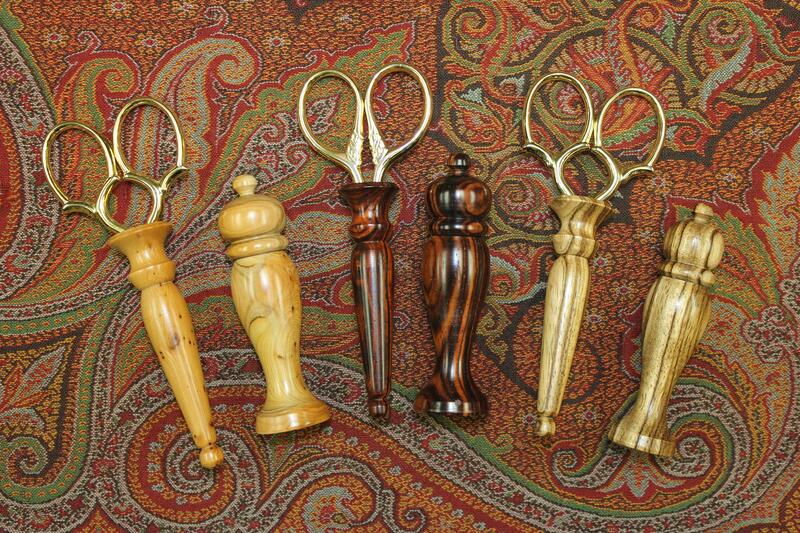 A mini pair of scissors with its own beautiful hand-turned case. The scissors are sharp enough to snip wool strips, or keep them on hand when hemming your rugs. Great for sewing, knitting and needle craft work. Available in a variety of exotic woods.